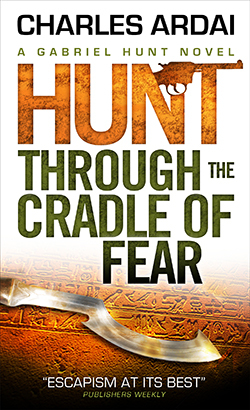 When a secret chamber is discovered inside the Great Sphinx of Egypt, the mystery of its contents will lead Gabriel to a remote Greek island, to a stone fortress in Sri Lanka...and to a deadly confrontation that could decide the fate of the world! This tale of Gabriel Hunt was penned by Edgar and Shamus Award winner CHARLES ARDAI, creator of Hard Case Crime. In addition to winning both awards, Ardai has been a finalist twice for the Edgar Award and three times for the Shamus. "Very smart and very cool."